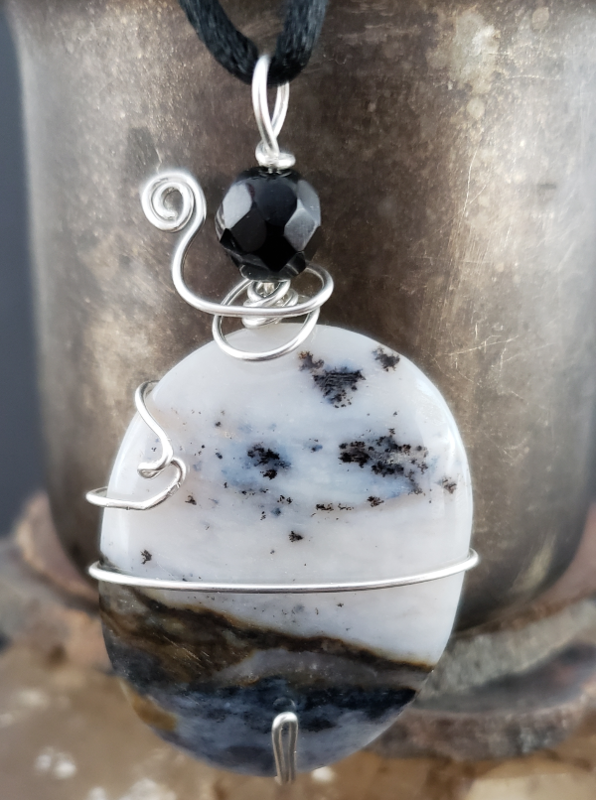 Stunning Banded Agate with Dendritic inclusions with a sweeping sterling silver wire wrap. Stunning Banded Agate with dendritic inclusions contrasting in the white band, like small shrubs on the horizon on a snowy day. Topped with a black faceted crystal and pulled together with a sweeping Sterling Silver wire wrap.